Yasuto Itoh received a PhD in Kyoto University. Now he is the Associate Professor of the Graduate School of Science of Osaka Prefecture University. He conducts research into tectonics, stratigraphy and paleomagnetism, and has published about 100 papers in the field of backarc opening processes, deformation mode of active plate margins, quantitative assessment of active faults, paleoenvironment of East Asia and geochemical modeling of burial history of sedimentary basins. His professional memberships include: American Geophysical Union; American Association of Petroleum Geologists; Japan Geoscience Union; Japanese Association for Petroleum Technology. He is also a member of the Integrated Research Project for Active Fault Systems by the Ministry of Education, Culture, Sports, Science and Technology (MEXT), Japan. Keiji Takemura received a PhD in Kyoto University related to geological science. Now he is the Professor of the Graduate School of Science of Kyoto University. He conducts research into stratigraphy, active tectonics, tephrochronology and geothermal sciences, and has published more than 300 papers (half in English) in the field of Quaternary sciences of active faults, paleogeography and tectonic history of southwest Japan, environmental changes from lake and bay sediments, geothermal geology, soil engineering, and geoarchaeology. His professional memberships include: American Geophysical Union, Japan Geoscience Union, Japanese Association for Quaternary Sciences and Geological Society of Japan. He is also a leader of one program of the Integrated Research Project for Active Fault Systems by the Ministry of Education, Culture, Sports, Science and Technology (MEXT), Japan. Hideki Takada graduated from Nara University in the course of Department of the Preservation of Cultural Properties, Faculty of Letters. Now he is the Counselor and Director of the Mawaki Site Jomon Museum of Headquarters of Education, Noto Town, Ishikawa Prefecture. He has been engaged in the excavation and archaeological researches of Mawaki Archaeological site of Noto Peninsula since 1981. He conducts research into stratigraphy of archaeological sites, cultural remains such as pottery and stone tools, and he published important excavation reports in Noto Peninsula. His professional memberships include: The Japanese Archaeological Association, Japanese Society for Scientific Studies on Cultural Property, and Ishikawa Society of Archaeological Studies. He is also a leader of program of Environmental Reconstruction at Mawaki Archaeological Site, Noto Peninsula. 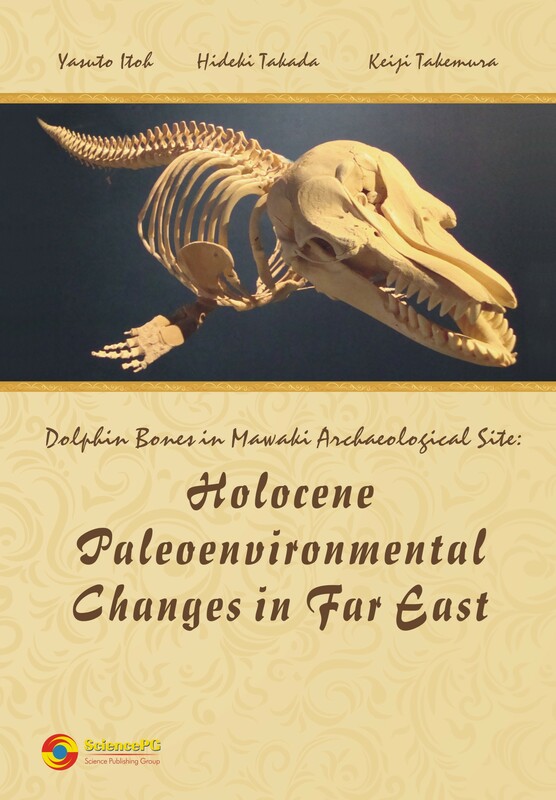 An archaeological site provides us with affluent information on climatic and geologic phenomena during late Pleistocene and Holocene. It is pursued by means of extensive research integrating stratigraphy, paleontology, geochronology and geophysics. Through such multidisciplinary approach, the authors attempt to describe life of the ancients on post-glacial Far East, which has never been understood in the framework of long-term environmental changes.